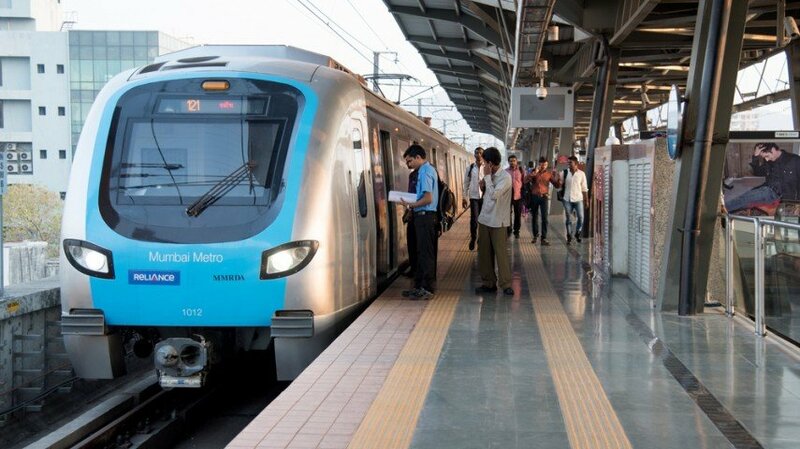 Mumbai, Metro Rail News: Since its launch in June 2014, Mumbai Metro One has been following a base fare of Rs. 10 | 20 | 30 | 40. Apart from the base fare, Mumbai Metro offers 3 additional ticketing products: Store Value Pass (SVP), Return Journey Token (RJT) and Monthly Trip Pass (MTP), which have been designed keeping commuter needs in mind. The product pricing has been done in a manner to popularise Metro, promote regularity of usage and consequently increase ridership. Currently, around 1/3rd of Mumbai Metro commuters travel using SVP. Moreover, SVP has emerged as the highest growing product registering 51% growth YoY. To strike a win-win proposition, Mumbai Metro One wishes to go with popular commuters’ choice and encourage more and more commuters to take benefit of SVP. Mumbai Metro intends to introduce an Instant Cashback on SVP w.e.f. 01.02.2019 and restructure the existing travel based incentive. This is to make SVP even more popular and encourage commuters to recharge with higher value. Commuters will now enjoy Cashback ranging from 2% to 10% for recharge ranging from Rs 200 to Rs 600 and above respectively. Of the many firsts to its credit, Mumbai Metro is the first Metro in the country to introduce Instant Cashback for the benefit of its commuters. Earlier, SVP commuters enjoyed incentive piecemeal ranging from Rs.0 to Rs.5 as they commuted. Now, they will get Instant Cashback against recharge. Hence, it offers better time value of money. The new Cashback on SVP is aimed at encouraging regular commuters to migrate from daily queuing at ticketing counters to SVP. Use of card products on AFC gates improves Metro efficiency as card commuters take 40% lesser time to pass through AFC gates. Earlier commuters who travelled shorter distances (0-2 km slab) didn’t get any incentive. Now all the commuters will be able to avail this scheme. Commuters will be able to easily identify amount of Cashback earned while travelling by metro. The Cashback offered by metro is equal to travel balance, which can be fully utilized while travelling. The Cashback will have long validity, which can be renewed by 6 months (180 days) with every recharge. Mumbai Metro will offer one time 10% flat Cash-Back on entire remaining balance of 31st Jan’ 2019 (end of business day) so as to take care of incentive that a customer would have got while travelling with current balance. With the base fare of Rs 10, 20, 30 and 40 for Single Journey Token remaining unchanged and introduction of Cashback on SVP, the price of MTP has been marginally increased by Rs.25 to Rs.50 for 45 trips, which effectively translates to a marginal increase from 55 paise to Rs 1.11 per trip. Despite this increase, MTP will still remain to be most economical product offering 14% to 24% incentive.